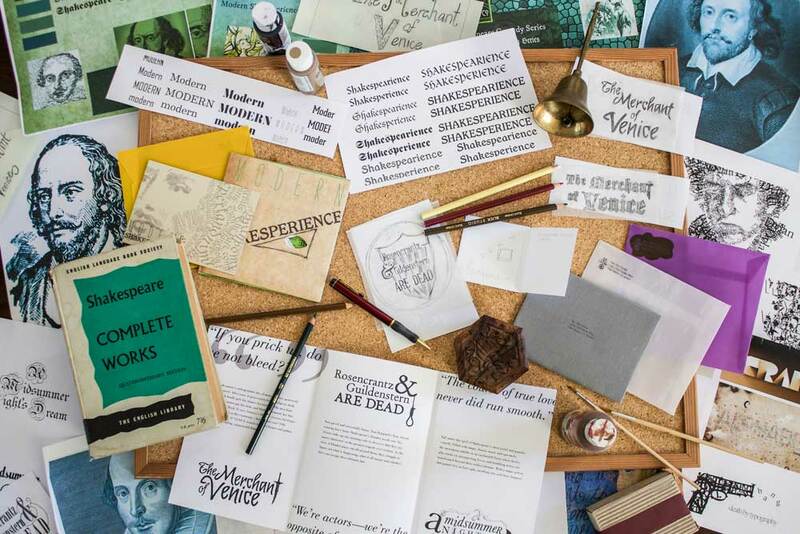 Modern Shakesperience is a play series for the Old Globe Theater in San Diego. 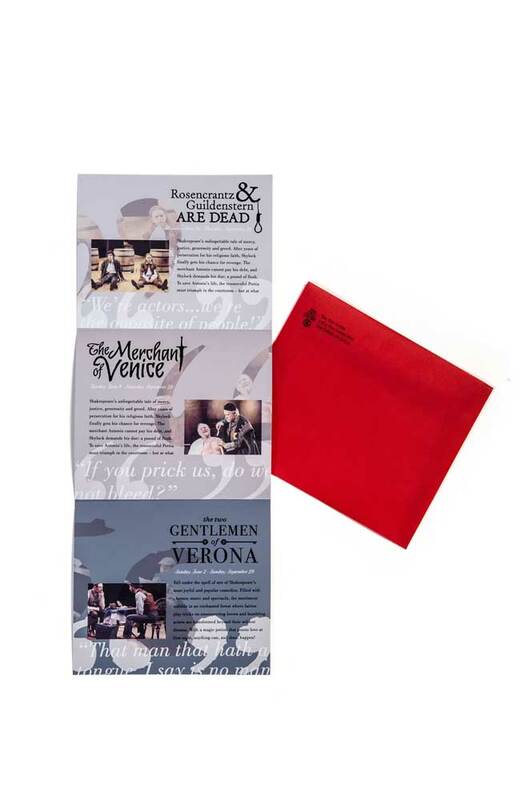 The three shows, The Merchant of Venice, The Two Gentlemen of Verona and Rosencrantz & Guildenstern Are Dead, represent a mix of two classic Shakespeare plays and a popular comedy that presents an alternate ending to Hamlet. 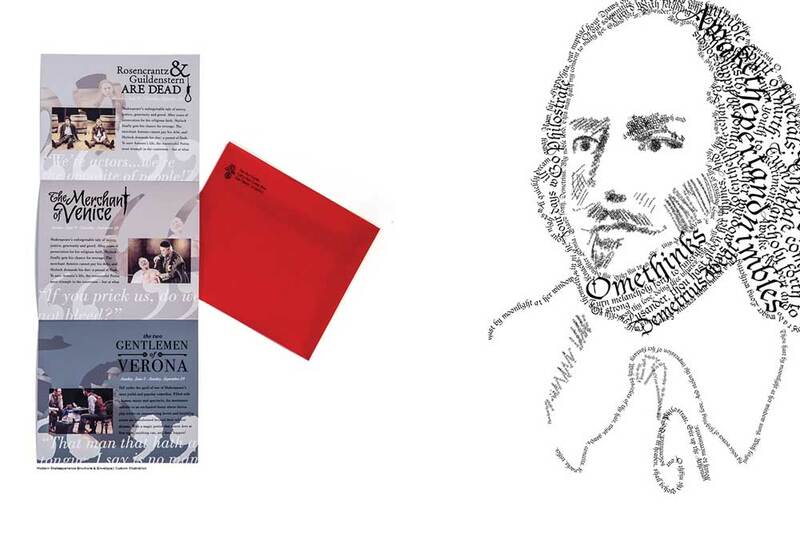 To market the series, the Old Globe wanted to create play logos, a promotional brochure and an environmental piece that paid homage to Britain’s greatest playwright. 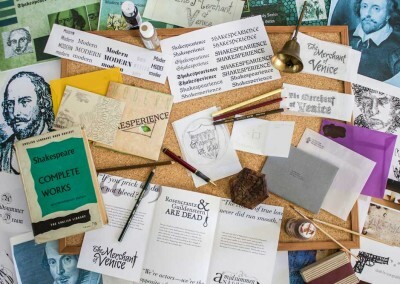 Shakespeare was the common thread amongst the three plays, and had to be showcased in the brand identity. 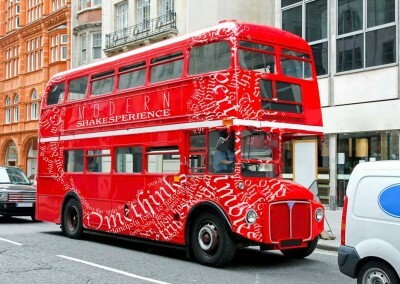 The design style had to feel as though it were from his era, with a modern twist that is promised in the play’s theme. 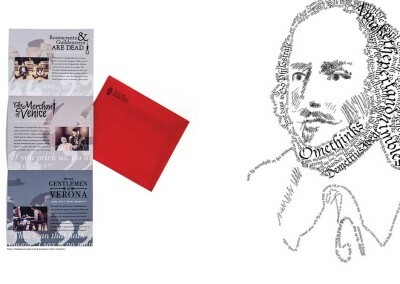 I combined lines from The Merchant of Venice with a sketch of Shakespeare’s face to create a type-centric custom graphic for the branding. 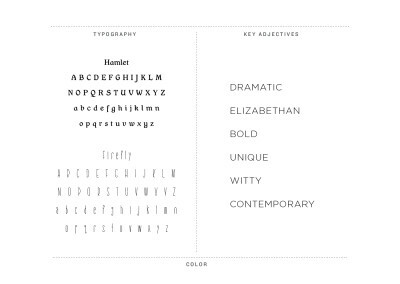 The blackletter typeface Duc De Berry brought in the old world feel of Shakespeare’s time. 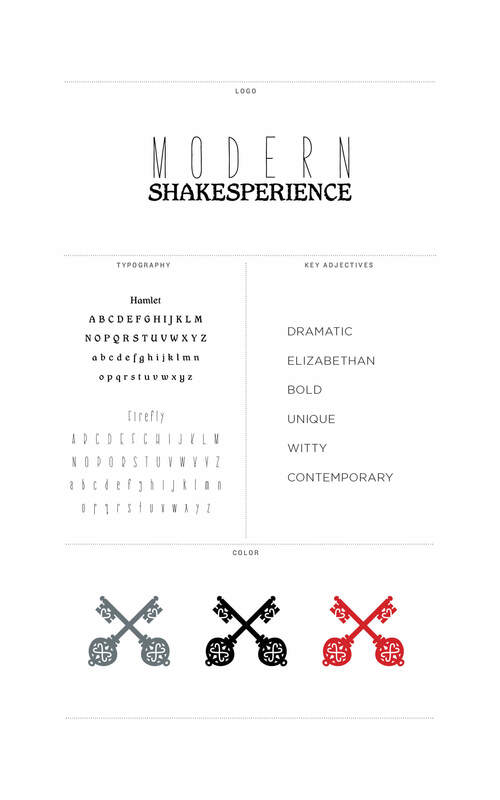 Each logo contains a symbol from their respective play, a dagger replacing the “T” the Merchant of Venice, a noose dangling from the ampersand for Rosencrantz & Guildenstern are Dead, and keys for The Two Gentlemen of Verona. Lastly, it was important to capitalize on the aspect of bringing British literature to San Diego. 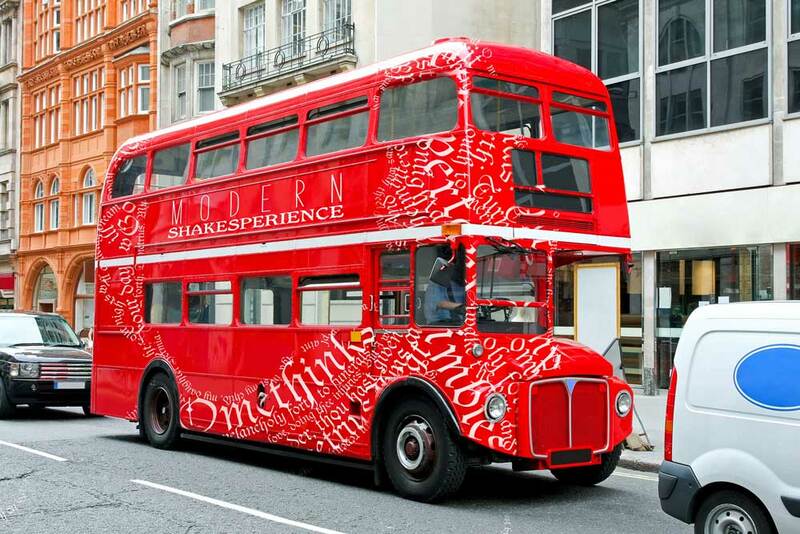 To address this, I developed a mobile marketing concept by wrapping the Modern Shakesperience logo and custom graphic on a signature red double-decker bus. 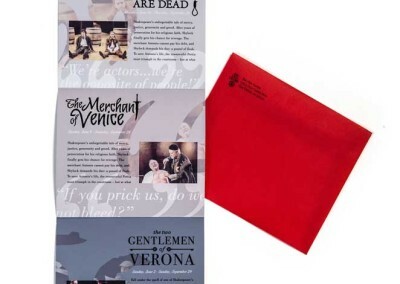 This is reflected in the brochure color palette as well, fusing the modern red with a classic slate grey.